Quickly and Easily adhere directly to your Screen. 100% Transparent: unmatched clarity. Shield and Protect your Screen from Unwanted Scratches. UV Protection: Reduces eye strain caused by the screen. Smooth glossy finish material - No cheap plastic. Matte finish to reduce glare- No cheap plastic. Quickly and Easily adhere directly to your Screen. Shield and Protect your Screen from Unwanted Scratches. Great Transparency: unmatched clarity. Important: These are not the ordinary glossy finish screen protectors. Quickly and Easily adhere directly to your Screen. Shield and Protect your Screen from Unwanted Scratches. 100% Transparent: unmatched clarity. UV Protection: Reduces eye strain caused by the screen. Attaches smoothly with self-adhering surface;leaves no residue when removed. 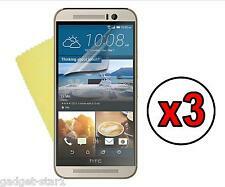 3x HQ CLEAR SCREEN PROTECTOR COVER LCD GUARD FILM FOR HTC ONE NEW HTC ONE A9. Quickly and Easily adhere directly to your Screen. 100% Transparent: unmatched clarity. Shield and Protect your Screen from Unwanted Scratches. 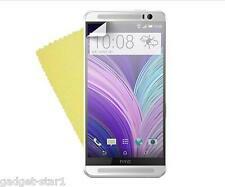 Ultra Clear Explosion Proof Anti Shatter Proof Temper Glass HTC one M7. • Made with chemically treated, transparent tempered glass with silicon adhesive to keep it in place. Sharp objects such as knives and keys will not scratch the surface. Fully transparent: very thin, chemically treated transparent tempered glass. 1x Glass Screen protector. Step 4 Removing the upper protective film. Step 5 aligned attached position again, then a little harder to four border. HTC Tempered Glass Screen Protector Guard for HTC One M9. 1 x Tempered Glass Screen Protector For HTC One M9. ▪Tempered Glass - Impact resistant. ▪Triple layer film prevents glass from shattering into tiny sharp pieces of glass. Part No: R130. While it's important to protect your screen, it's also vital that the screen protector does not hinder your smartphone use by clouding the screen or decreasing the sensitivity of the touchscreen. Tempered Glass Can not Be Bend. HTC ACCESSORIES. If broken, the tempered glass breaks into small pieces that are not sharp, marking it more safer for users. Super thin, crystal clear material has been used to disguise the screen protector for practical use. Fully transparent: very thin, chemically treated transparent tempered glass. Surface is anti-oil processing (Oleophobic coating), so fingerprints and oil is not easy to stay surface, also easy to clean. This genuine HTC manufactured screen protector (SP P730) will keep your screen and phone looking new as ever by protecting your screen from dirt, fingerprints and scratches. 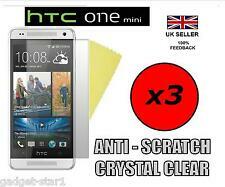 Protect your HTC One X screen from scratches and stylus wear & tear with this official HTC screen protector. Retains display clarity and sensitivity. Htc One M8 Screen Protector. Condition is New. 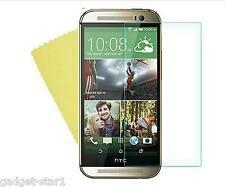 BlueDot 2.5D Clear Tempered Glass Screen Protector HTC One M8 Cell Phone. 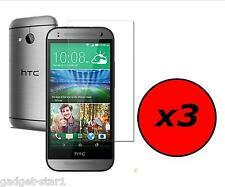 Compatibility: HTC One M8 Cell Phone. All with Anti-Shatter ~ Anti-Scratch ~ Tempered Glass! >>> Dry Cleaning Cloth. 100% Clear ~ Transparent. 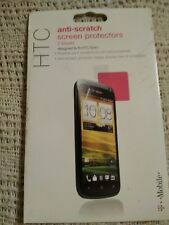 HTC One M7 Screen Protector Cover. Specially designed front screen protector for HTC One. Non-adhesive backing will not leave sticky residue behind if you decide to remove screen protector. 0.33mm thickness glass, to prevent sharp objects from damaging screen - Powerful shock absorption screen protector - Great combination of clarity and protection - If Broken, the glass breaks into small pieces that are not sharp - Even sharp objects such as knives and keys will not scratch the glass - Dustproof durable enhance sense of handwriting - Includes cleaning cloth - Easy installation and removal, without any scratches on screen. 0.33mm thickness glass, to prevent sharp objects from damaging screen. Powerful shock absorption screen protector. Great combination of clarity and protection. If Broken, the glass breaks into small pieces that are not sharp. The all new HTC One. HTC One M9 Impact Absorbing Screen Guard Protector in Clear for the HTC One M9 99H20079-00 by HTC. Fingerprint Resistant. Cleaning Cloth and applicator squeegee included. HTC impact absorbing, professional & cool. the greatest Screen Guard Protector for HTC LCD Display Touchscreens. Keep your HTC One M9's screen in fantastic condition with this official HTC scratch-resistant and anti-fingerprint screen protector. While it's important to protect your screen, it's also vital that the screen protector does not hinder your smartphone use by clouding the screen or decreasing the sensitivity of the touchscreen. Highly durable, and scratch resistant - surface hardness 9H. Specifically designed for HTC One M9. 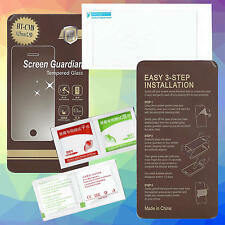 Includes: (1)Glass Screen Protector, Micro-Fiber Cleaning Cloth, Plastic Squeeze Card and Installation & Use Guide. HTC One M9 Screen Protector SP R230A Genuine HTC. Protect your HTC ONE M9 screen from scratches and stylus wear &tear with a screen protector. It features clearly shielded, reducing light reflection for readability and fingerprint resistance. The all new HTC One. Quantity: 6 pcs.